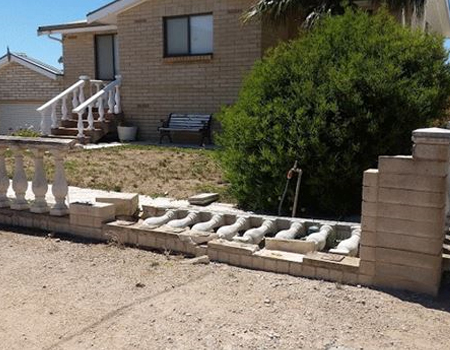 J&W Pring Brick and Stone are fully qualified professional stonemasons providing their services to customers throughout Yorke Peninsula and nearby districts including Wallaroo, Kadina, Maitland, Athurton and Thrington. For any stonework, plastering, underpinning or salt damage treatment, get in touch with the experts at J&W Pring Brick and Stone. You can contact us on (08) 8821 3364 or 0419 672 961 to enquire about our services and rates or to make a booking for a free inspection and quote. 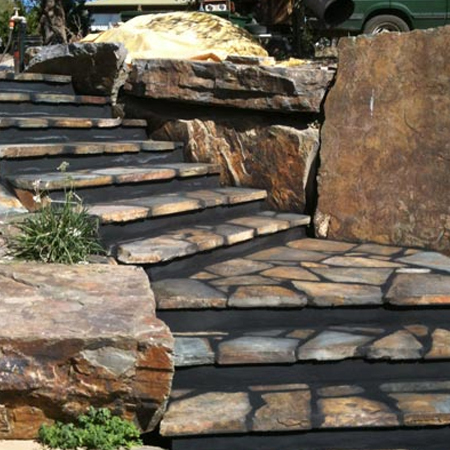 We’re experts at what we do and provide a complete stonemasonry service to our valued customers in and around Yorke Peninsula and surrounds. 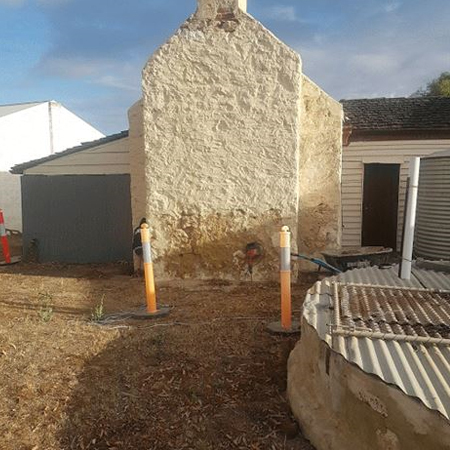 Based in Kadina, we have customers all over Maitland and Arthurton and beyond up in to Kadina as well as Wallaroo, Newtown, Thrington and Jerusalem, who come to us for our reputation for top quality workmanship on every job we undertake. Our stone masons have the expertise and resources to repair and renovate any brickwork or stone masonry, from foundations to walls, doors, fireplaces and chimneys. 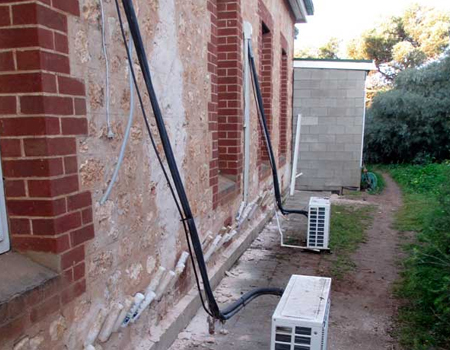 We take pride in providing the highest standard of workmanship at an affordable and competitive rate. No job is too big or small for our team of contractors who have years of experience in the trade and can advise on the best solutions for any repair job and provide a professional result that will stand the test of time. We’re experts who know how to do the job properly, on time, on budget, first time, every time. At J&W Brick and Stone we’re committed to providing the best results at the most affordable rate in the area. Our long list of satisfied customers come to use for quality workmanship and prompt and reliable customer service. Contact us today on (08) 8821 3364 or 0419 672 961 to enquire about our rates and services or to make a booking or obtain a no obligation free quote. You can also contact us online through the contact page enquiry form.